Without the art of sculpture can not be valuable. Cut and vyleplivanie people, animals and a variety of subjects have appeared in human history, almost simultaneously with the rock art. 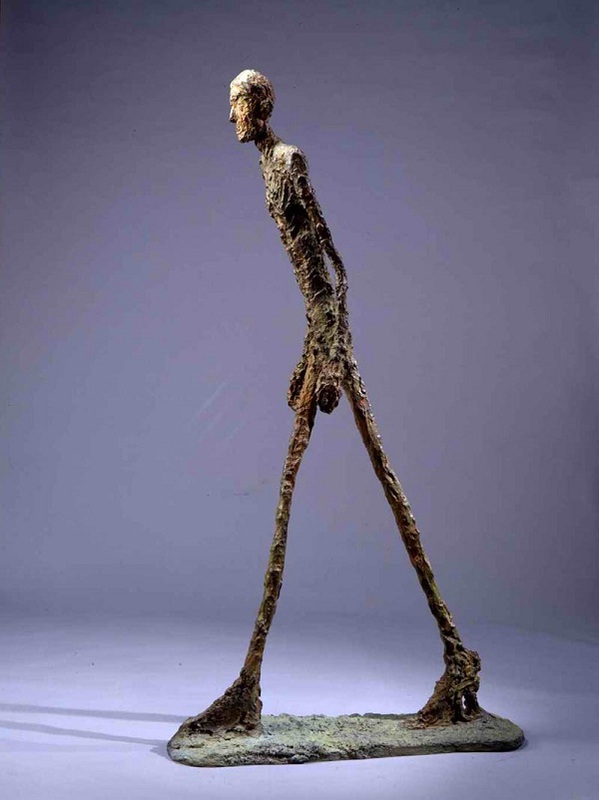 Sculpture - it's the same picture, only bodily, and therefore express the emotions a little differently. That tells us the statue, we perceive much easier, because they are tangible and more like us than any other works of art. In this article we collected 15 well-known and most important sculptures created at different times in different materials for different purposes. Please share in comments your favorite works of sculptural art. Five-meter statue of the biblical hero David created by Michelangelo when he was only 28 years old, is seen as a symbol of the Florentine republic and one of the peaks, not only of Renaissance art, but of human genius in general. 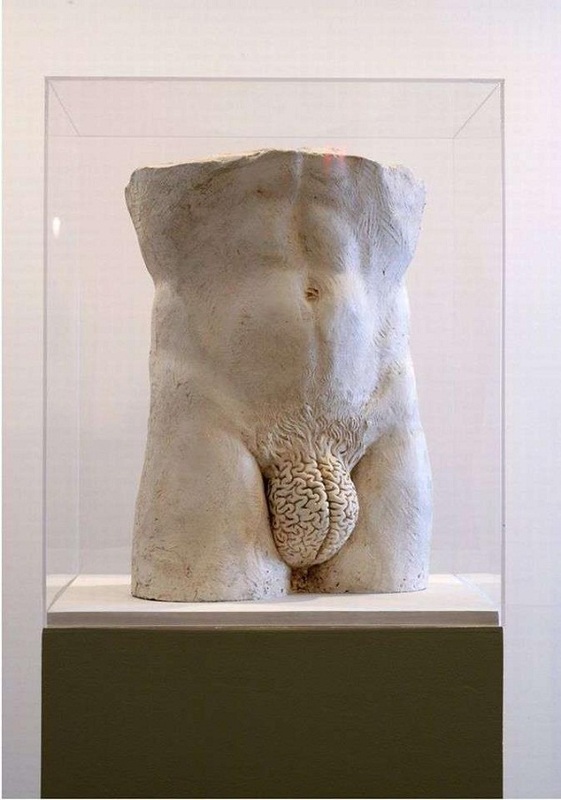 The most replicated image of the sculpture in the world. 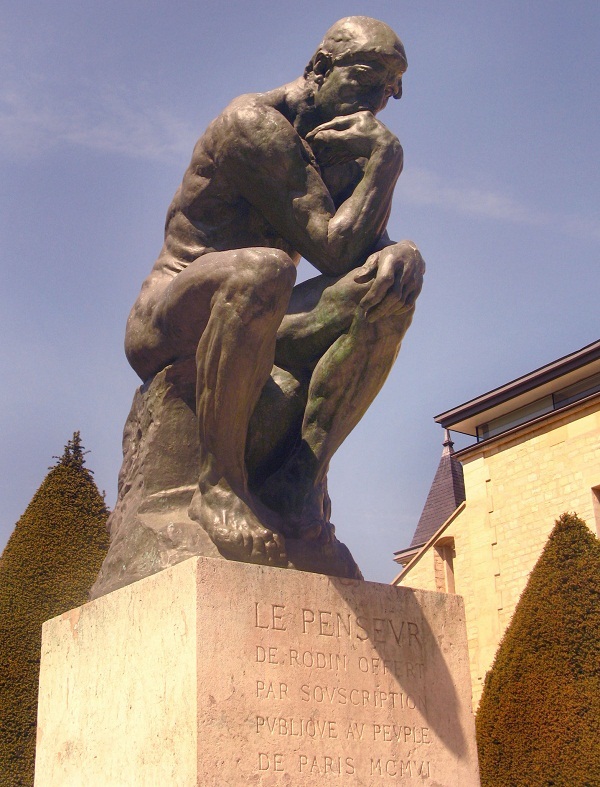 Another extremely popular image created by Auguste Rodin in 1882. 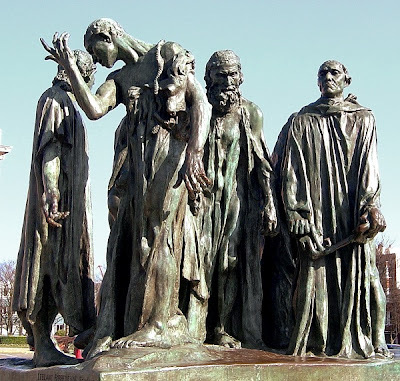 Originally, the sculpture was called "The Poet" and be part of the song "Gates of Hell" based on "The Divine Comedy." Model for the sculpture served as a Frenchman named Jean Bo, muscular boxer, mostly speaking in Paris at the red light district. The most expensive sculpture in the history of mankind. 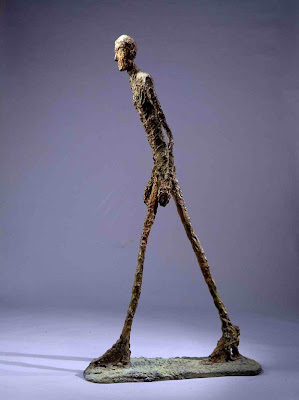 In 2010, the 183-centimeter sculpture "Walking Man", made by Swiss sculptor in 1961, was sold at auction Sotheby's for a record $ 104.3 million. 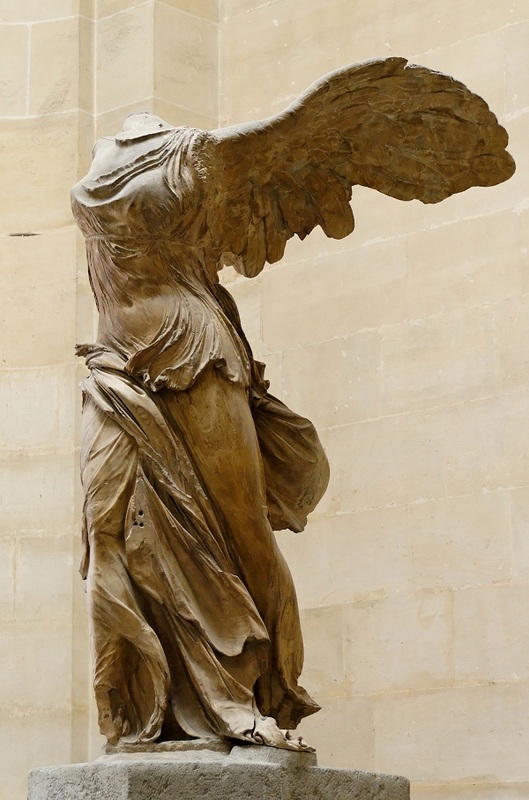 The sculpture is one of the most important works of this master, her image is also available on the bill of 100 francs. The famous ancient Greek sculpture, created in about the middle of the second century BC, was found on the island of Melos in 1820, the French sailor, who decided to look on the shore of the ancient market. The hands were then intact, but were lost at the time of the conflict between the French (who have found) and Turks (the owners of the island). The ancient Greek marble statue of the goddess Nike was found on the island of Samothrace in the sanctuary of Kabir in April 1863. The statue was erected the inhabitants of the island of Rhodes in memory of the victory achieved over the fleet of the Syrian king. She stood on a cliff above the sea, its pedestal portrayed nose warship. Mighty and majestic in the Nike dress billowing in the wind is presented in an irresistible forward motion. At the present time is in the Louvre. 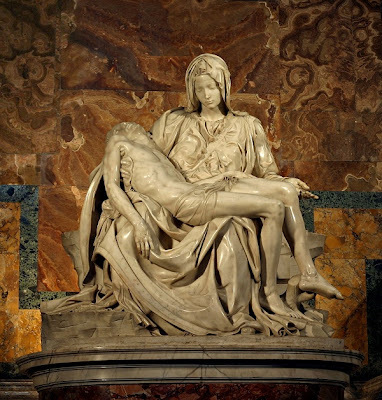 Pieta - a common name for the image of the Virgin Mary mourning scene of her son. The best of these was done by Michelangelo in 24 years. 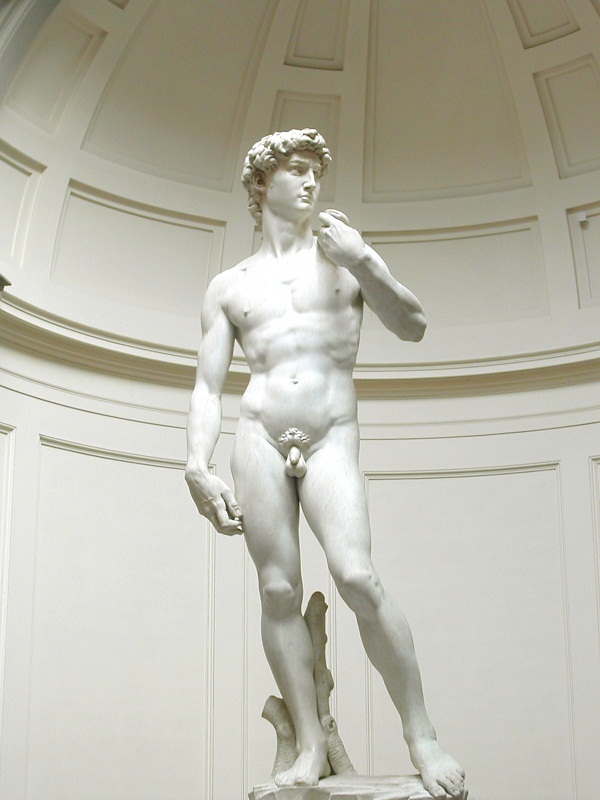 Perfect composition, emotion, humanity and the deep symbolism of the sculpture made ​​it a model of culture of the High Renaissance. One of the most famous sculptural monuments of Ancient Egypt. 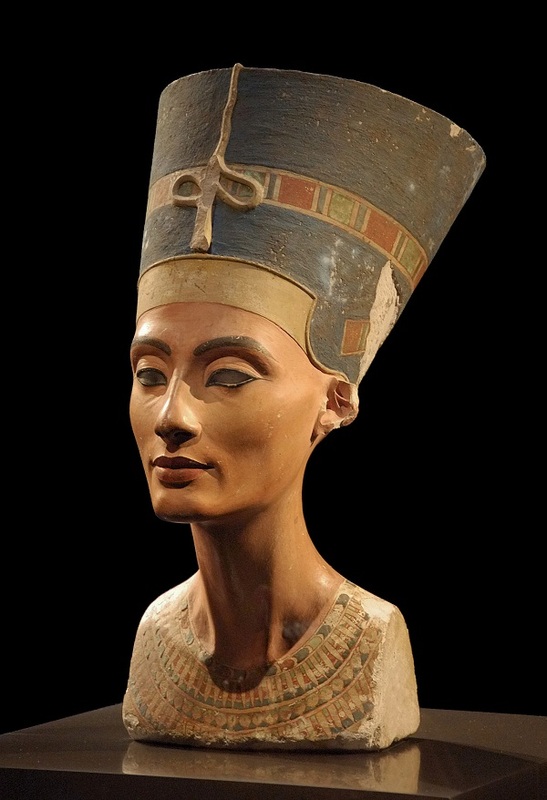 Nefertiti was the wife of Pharaoh Akhenaten of the reformer. The bust is made entirely of limestone and fully colored. The special preservation of beautiful flowers, giving a great contrast between the brown faces of Nefertiti and the crown jewels, make it a unique work of art. Egypt and Germany, which houses a bust of the queen, for many years because of her curse, but can not reach an agreement. 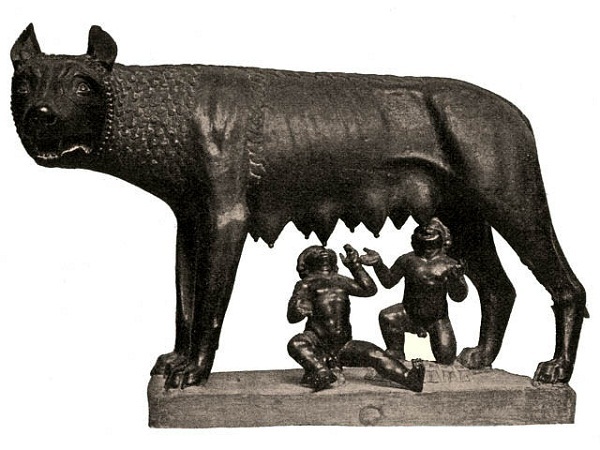 Etruscan bronze sculpture on stylistic grounds dating back to V century BC, never left Rome, a city that was founded by those who brought up the she-wolf. At the time of Benito Mussolini's Lupa Capitolina was used as a propaganda symbol that embodies the desire to revive the fascist regime of the Roman Empire. One of the tallest statues in the world located in Volgograd, and is perhaps the main symbol of the Soviet people's struggle against fascism. 52-meter high statue of a woman, shagnuvshey forward calls his sons to fight with the enemy. Landscape installation "Another Place" - a sample of modern art, which causes philosophical reflection and thought melancholy. One hundred cast-iron sculptures tall as a man placed in 2006 on the three-kilometer beach line to the north of Liverpool. 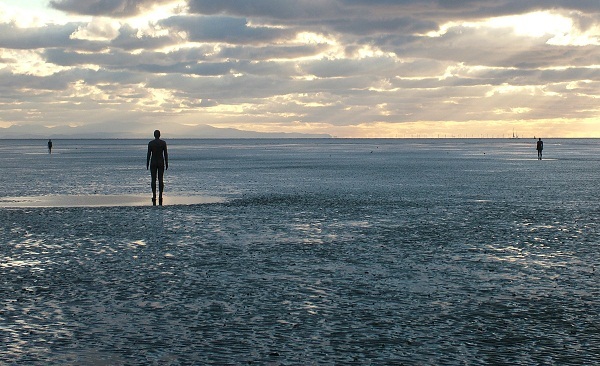 They are facing the sea, and during hot flashes, some of the sculptures is partially or completely submerged. Sculptural group "Burghers of Calais", commissioned by the municipality of Calais, Rodin was completed in 1888. During the Hundred Years' War, English King Edward III besieged the city, and after some time the famine forced the defenders to surrender. The king promised to spare the inhabitants, only if the six most illustrious citizens will come to him in rags and with a rope around his neck, giving himself to death. This requirement has been fulfilled. First offered to give his life for the salvation of one of the major rich, Eustache de Saint-Pierre. The Queen Philippa filled with pity for these skinny people, and for the sake of their unborn child in front of her husband begged them for forgiveness. Roden revolutionary insisted on the rejection of the pedestal, though it will only completed after the death of the sculptor, and figures are on a par with the audience. The main attraction of Brussels. The exact time and circumstances of the statue is unknown. According to some reports, the statue already existed in the XV century. 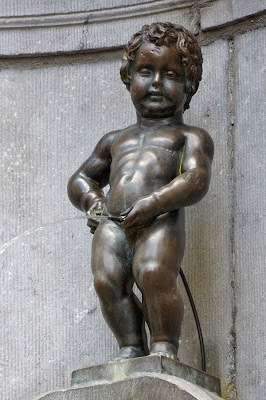 One of Brussels say that it is installed as a reminder of the events grimbergenskoy War, when the cradle with his son Gottfried III of Leuven was hung on a tree view of the future monarch to encourage citizens, and the child urinated on from there fighting soldiers under the tree. According to another legend, the statue was originally intended to remind citizens about the boy who put out a stream of urine spread out under the city walls the enemy ammunition. Beginning in 1695 the statue has repeatedly kidnapped, the last time the statue was stolen in 1960, after which it was once again replaced by a copy. At least 8099 sculptures of Chinese soldiers and their horses up a treasure of China. 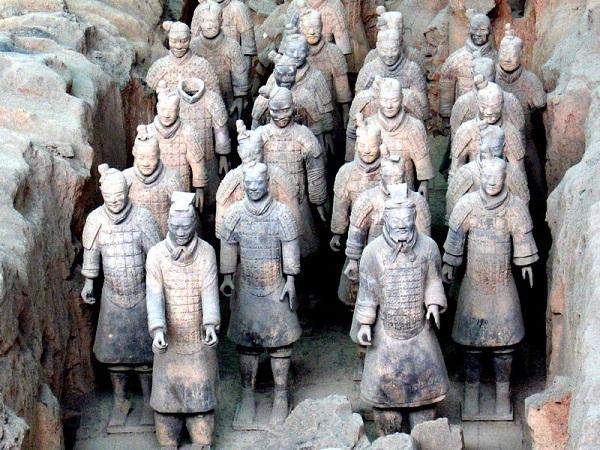 Terracotta statues, each of which is absolutely individual, were buried in battle formation with the first emperor of the Qin Dynasty - Qin Shi Huang who united China and connect all parts of the Great Wall in the III century BC. The Warriors were to support the authority of the Emperor in the afterlife. 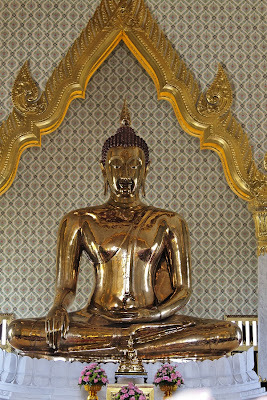 The world's largest gold statue is molded in a Bangkok temple Wat TRIME - there are about three meters, it weighs over five tons. During the war with Burma, the statue was intended to covered with plaster, and then no one could discover the secret of the Buddha. Until 1957 the statue does not pay attention - until, until it was moved to a new location. 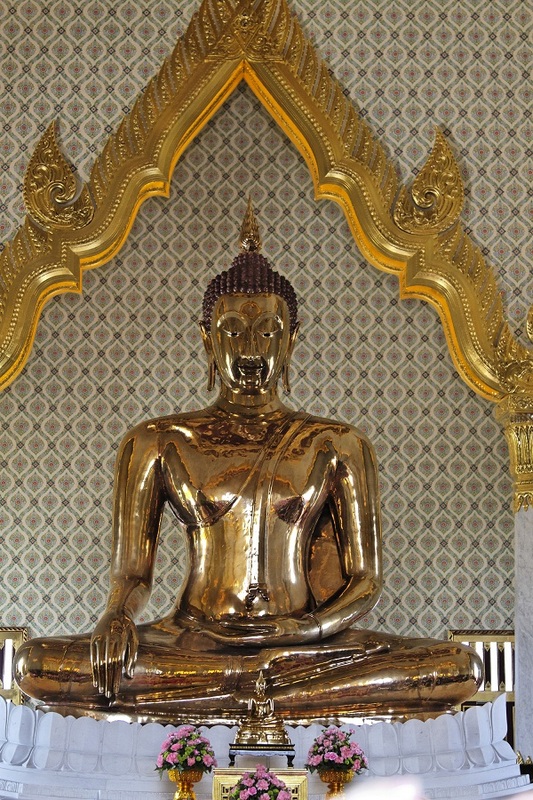 According to rumors, during the carriage started to rain, to which the statue because of its weight also fell from a crane to transport it, she was sheltered from the rain, but the water still washed the coating from one of the sites to a sufficient degree to make one of the monks said a strange glow. According to another version, from falling plaster cracked. As planned by the Cuban author, sculpture, made in 2004, contrasts the joy and fear, thoughts and desires, instincts and intelligence.